In 1863 Emporia State University was established as Kansas Normal School, a school for training teachers. 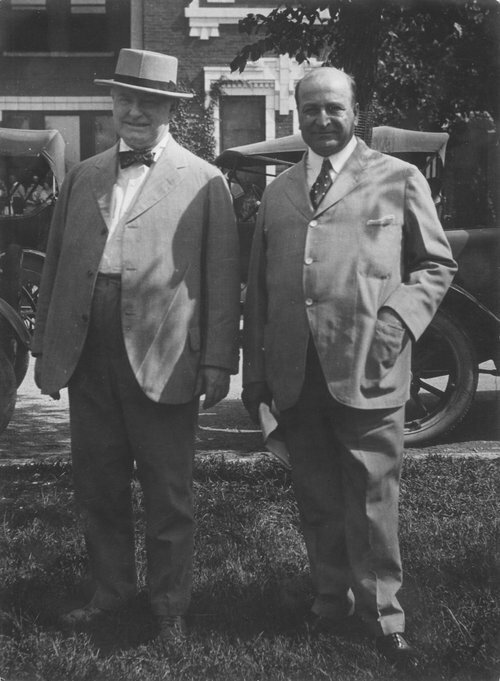 Lyman Kellogg was the first and only teacher at Kansas Normal for several years before he left and became the attorney general of Kansas. By 1889 Kansas Normal had not only become the largest teaching school in the state, but also the largest normal school in the country. Kansas Normal received its accreditation in 1898, the year when its first African American students also graduated. Memorial Union was built in 1922 as the first student union west of the Mississippi River. The bell tower known as Silent Joe, so named when it ceased ringing as young men went to serve during World War II, was built in 1939. Kansas Normal School changed its name to Kansas State Teachers College in 1923 and then in 1974 changed its name to Emporia Kansas State College. In 1977 the name was changed to Emporia State University. The National Teachers Hall of Fame, founded in 1989, is located on the campus. In 2011 the enrollment at Emporia State University was 5,976 students.